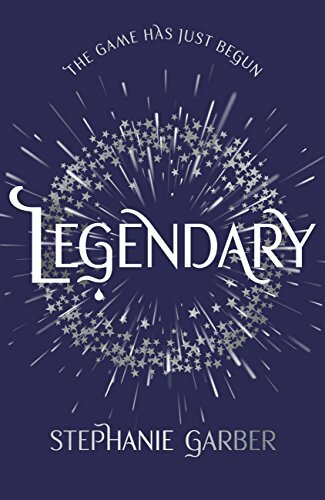 I was so looking forward to this, I adored Caraval, and amazingly I think Legendary is even better. It’s another magical book, full of secrets, of things that are not as they seem, of twists and turns that predicting who is who and what will happen just isn’t possible. And the “is it a game or are things real this time “ conundrum. Poor Tella, she has a series of really difficult choices to make and she doesn’t know, and the consequences are so very different if its real this time. As with Caraval its has that YA feel to it, and yet its one that will appeal to all ages, there’s nothing childish about the story, and its so full of changing consequences, riddles, pure magic or possibly illusion – how can Tella know whats real. As an adult I certainly couldn’t! This story is told from Tella’s POV, I liked seeing Scarlett and the mysterious Julian again, along with of course Dante and some of the other minor characters. There’s some fabulous new people too, and as before knowing if what they say is true or not is important but incredibly hard to tell. Tella has struck a bargain with Jacks, but as she gets closer the consequences become more clear and she doesn’t know whats the best thing to do, whichever way she jumps people will be hurt but doing nothing isn’t an option either. I’m still full of questions, who, how, why and what about….I could go on for ages, it seems like when one question gets answered there’s always the chance that it may not be the Correct Answer, just An Answer 😉 and trying to work it out is like herding cats, simply impossible. Just let it flow and enjoy the magic. I know! It’s so good when you can binge on the whole series at once. Enjoy!! there’s supposed to be a third out, and with the ending of book two that makes more sense. I’ve just finished the Sarah j Maas Throne of…. trilogy and that was a fantastic read. I looked at her other series but that doesn’t really appeal. I’m currently rereading Richelle Mead’s Storm Born series. I do wish authors would say when books are going to be two or three parts at the outset, makes understanding them so much easier when you know there’s more to come instead of just thinking ” that’s it? the end? It doesn’t make sense” Doesn’t happen often, but on occasions I’ve got to about 80% and I’m thinking “this isn’t going to wrap up in one book, or if it does then its going to be rushed” whereas if i know at the outset its a 2 or 3 part read i go into it with a different mindset.